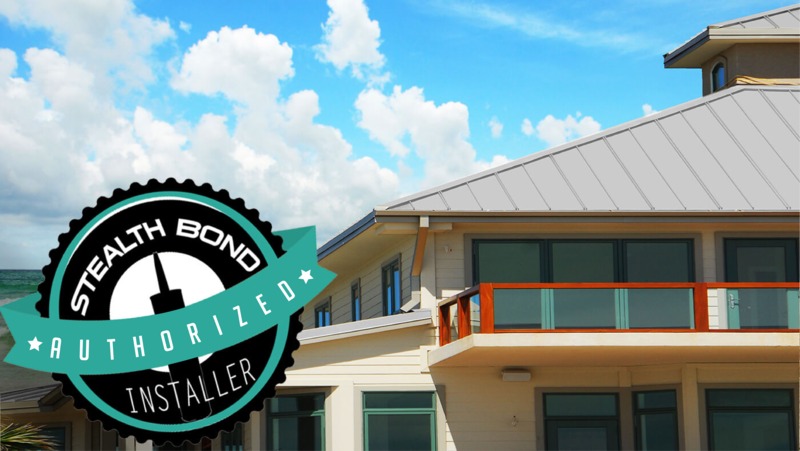 The StealthBond® installation system provides a luxurious concealed fastener look for metal roofing installations. 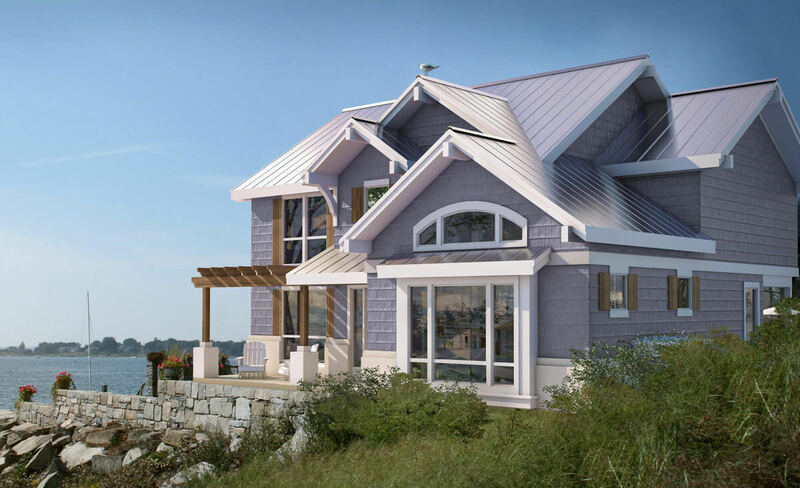 Each StealthBond® roofing installation is custom, and StealthBond® dealers are trained and authorized to give homeowners a beautiful roof they can rely on. Did we mention it looks great too? 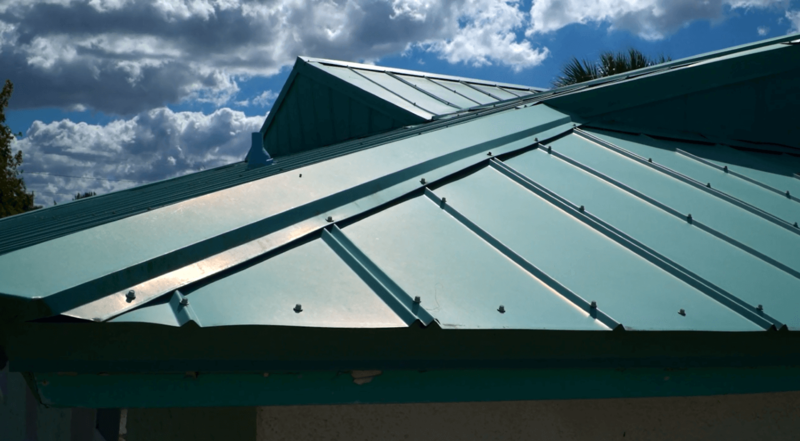 Traditionally, metal roofs call for thousands of fasteners which penetrate your roof. 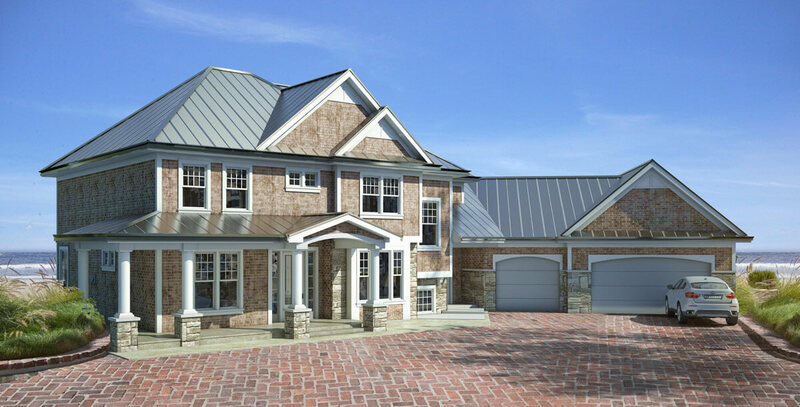 Metal Roofing will naturally expand and contract which can cause screws to back out. 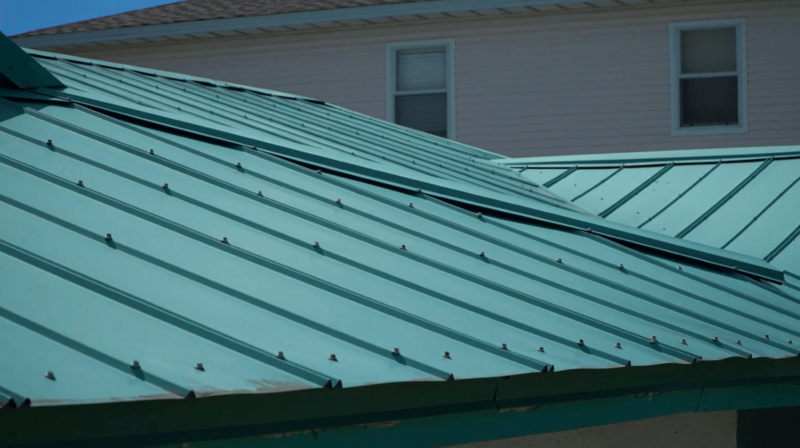 Every screw in a through-fastened metal roof is a potential for a leak and costly water damage. 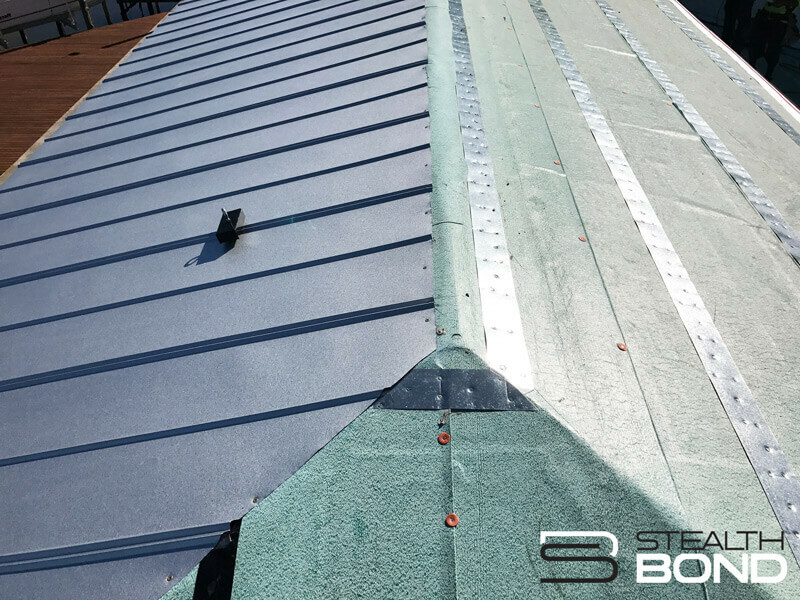 Ditch the screws with StealthBond®, the industry’s first structural adhesive metal roofing system. 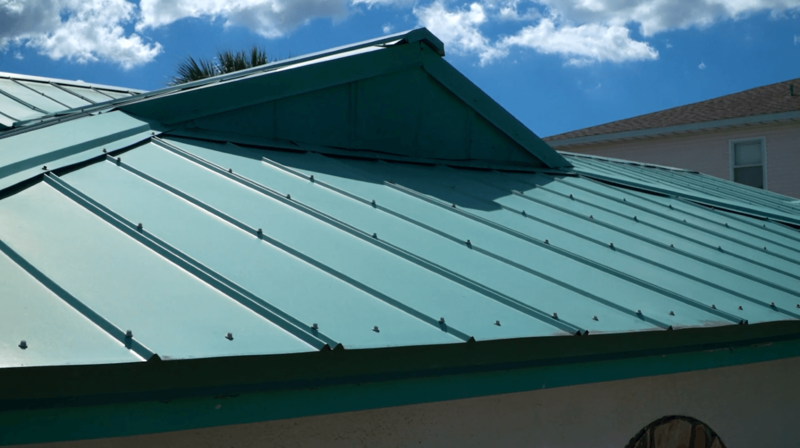 Check out our blog about how to find the right metal roofing system for your needs. Clean and easy installation without screws. 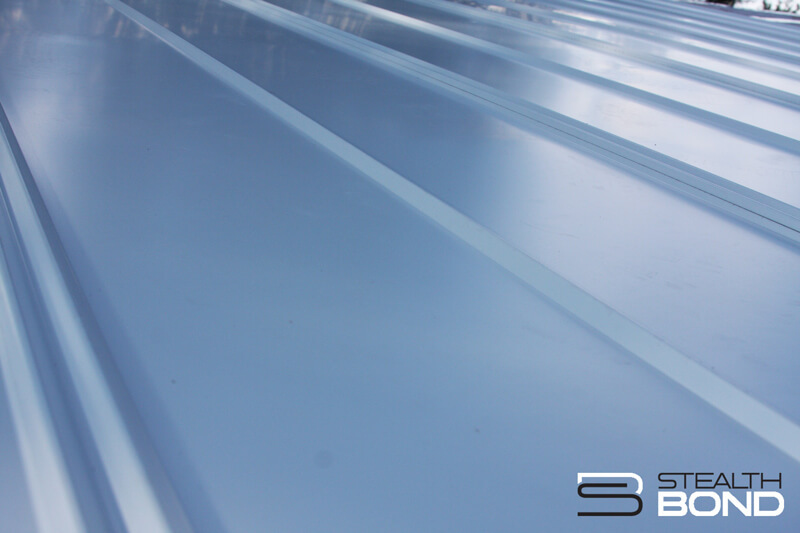 Exposed fasteners interrupt the clean lines of a metal roof. Installation creates metal shavings that can stain. Screws can back out, leaving holes and causing leaks. Unsightly dimpling caused by over-tightening fasteners. Annual inspections for loose or missing screws. DON’T HAVE ADOBE ACROBAT READER? CLICK HERE! 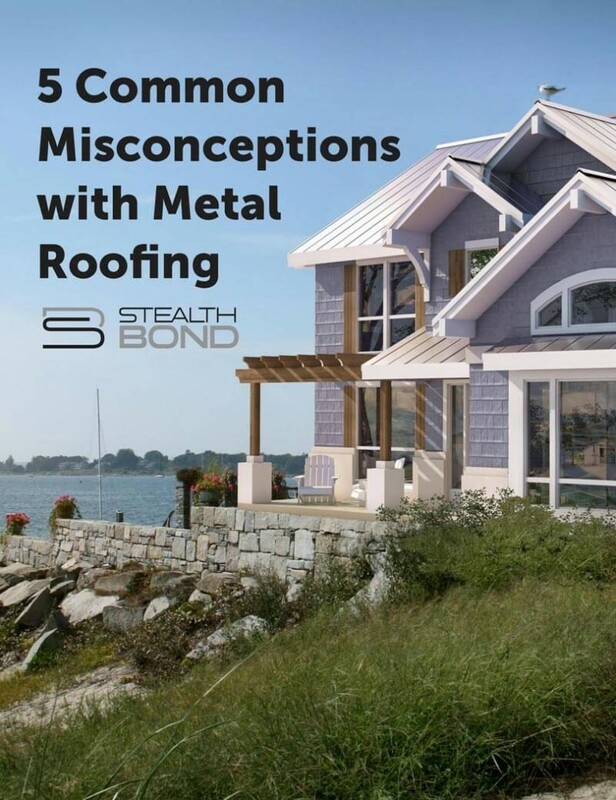 StealthBond® is a revolutionary new product that is a new take on a host of age-old misconceptions about metal roofing. Learn more about how our product helps by downloading our e-book! The StealthBond® System gives your home a clean look without compromising what’s important to you. 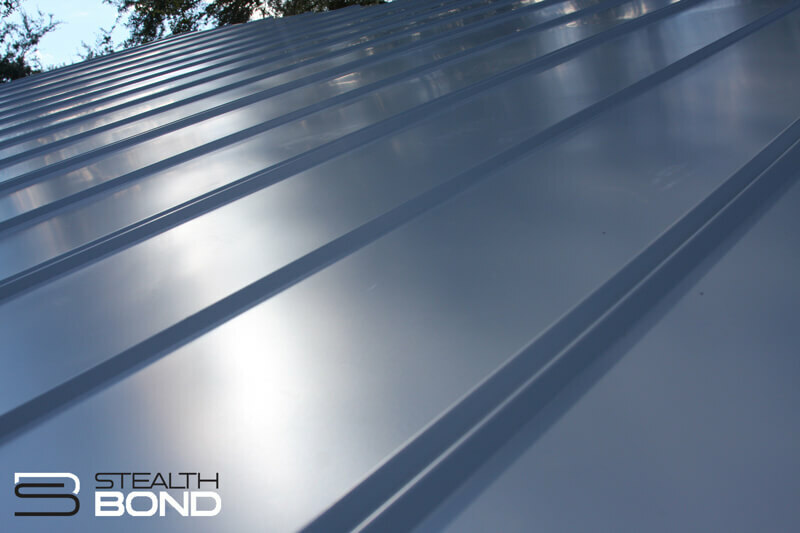 When choosing a metal roofing system, choose StealthBond®, The Next Generation of Installation®. 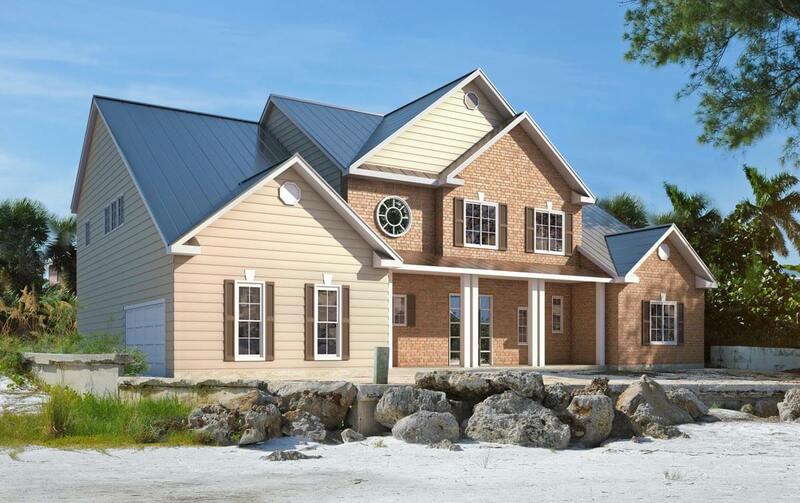 StealthBond® is a proprietary system that is Florida Building Code Approved, Miami-Dade County Approved and ICC Approved. The StealthBond® System is sold through an authorized dealer network.